The Indiana Plant Atlas is a botany resource for plant enthusiasts, professionals, students and teachers. 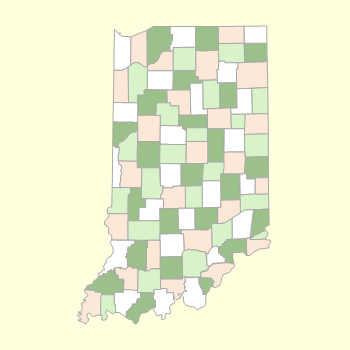 The IPA is a joint effort by the Indiana Herbarium Consortium and Butler University to provide users with a comprehensive searchable database of plants that occur growing outside of cultivation in Indiana. The IPA provides a source of information for each species, including the distribution within the state using historical and recent data. It works on mobile devices and tablets, too! The Consortium of Indiana Herbaria, founded in 2014, is comprised of herbaria and affiliated staff located in Indiana and select herbaria from outside the state that house significant numbers of collections from Indiana. Browse Photos by Photographer New! The Consortium of Indiana Herbaria has over 30,000 specimens digitized and we're adding more each day. The Plant Atlas has been designed to allow external websites to dynamically link to individual species and issue URL-based searches. This method allows you to link to the Atlas without knowing individual unique species identifiers. Dolan, R.W. and M.E. Moore. 2019 Indiana Plant Atlas. [S.M. Landry and K.N. Campbell (original application development), USF Water Institute. University of South Florida]. Butler University Friesner Herbarium, Indianapolis, Indiana.